Covering all Sundays of the year beginning March, 9th avenue will be filled with larger-than-life games. 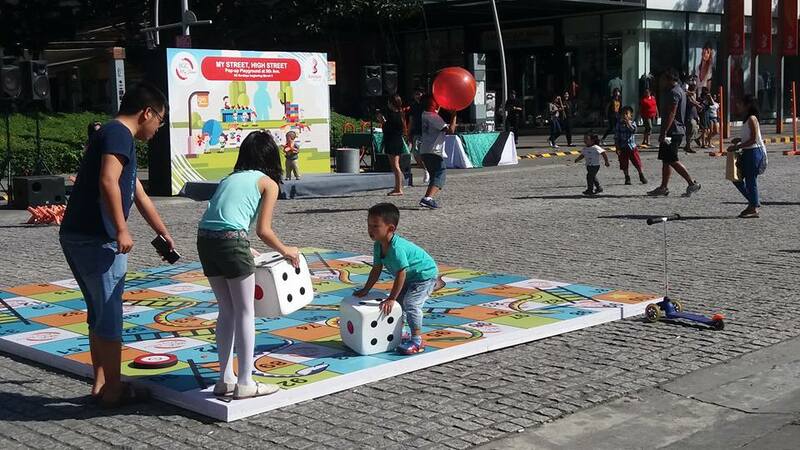 Trade away your desktops and business laptops for a giant games as Bonifacio Global City brings us back to a time where the street was the only place where we made friends. 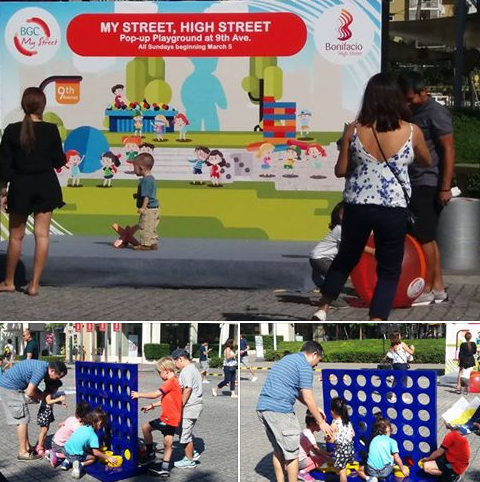 This year’s My Street, High Street promises a fun and memorable larger-than-life experience that will surely be enjoyed by kids and kids-at-heart alike. Our excessive online culture is taking outdoor play away from young children and so BGC My Street, High Street provides an area where they can safely play outdoors and develop their fine motor skills. Trade away your desktops and business laptops for a giant game of Jenga, Pick-up Sticks, or Snakes & Ladders; try out super-size toys such as Jack and the Giant Stones, dive into an inflatable ball pit; or enjoy classic Pinoy games such as Tumbang Preso and Piko. And if that wasn’t enough, you can gather friends and wiggle your way through a game of Limbo rock, jump through Chinese garter, or shake those hips by hula hooping on the sidewalk. 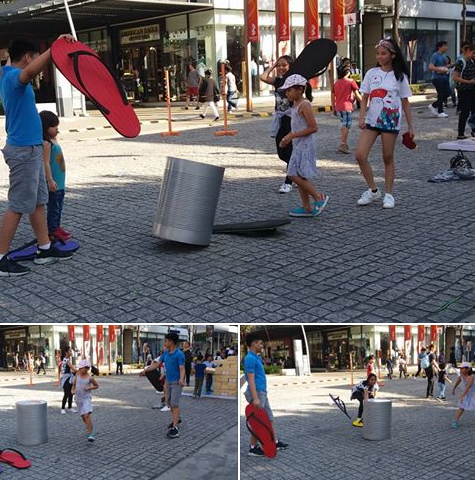 Whether you want to convince your kids or yourself to put down that smartphone or tablet for a fun day outside, or you’re just in for a healthy dose of nostalgia, BGC’s giant playground is the place to be during Sundays. 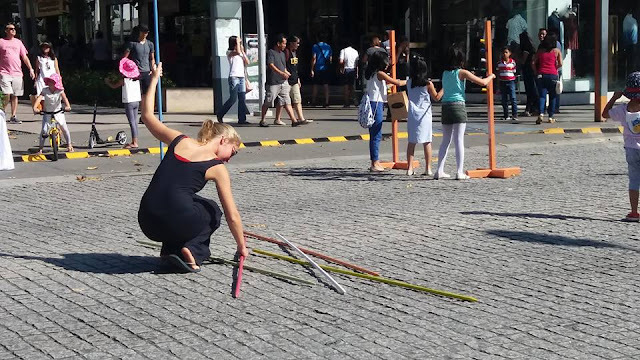 BGC My Street, High Street is made possible through its partnership with JSA Inc., BGC’s grounds team.